THE FINAL GATHERING OF THE PUMPKINHEAD - HALLOWEEN IN SPALL 2013. The legendary king of Halloween himself celebrated his creepy party on 31rst October 2013 in the village of Spall at Castle Wolfrhine. That was 20 years Halloween in Spall. 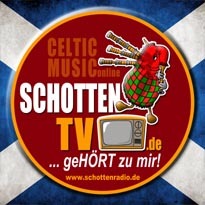 Specialguest: The scottish singer Fiona McNeill.